QL goes back to the game, the cards, the styles and, of course, the rules that have made our game a stunning game! When you start playing QL Magic is of paramount importance that you understand one of the main features of this format which transforms it more likely in a style of play rather than a simple sum of rules and limitations: only the cards with the old skin are allowed! In principle QL Magic adopts the 6th Edition Rules, dated 1st June 2003, except for some modifications. Artifacts are turned off while tapped. (214.6c) This is a rule taken from the 5th Edition. 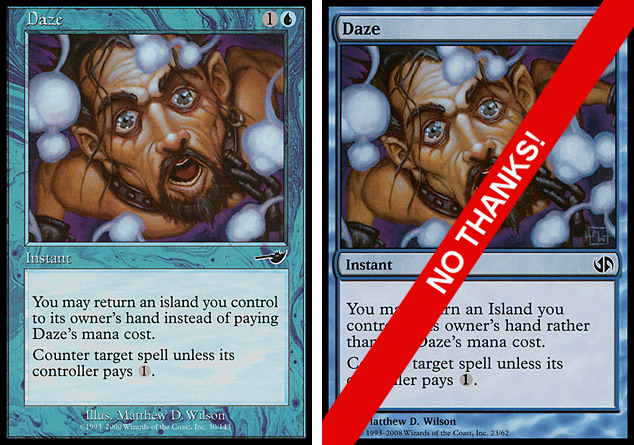 The “Exile zone” is called the Removed-from-the-game zone, and is explicitly considered “outside the game”. You can’t have two legendary permanents with the same name in play at the same time. If this happens, the last legend card played goes directly to the graveyard (420.5e). The text of a card takes precedence over the rules (103.1). However if a text of a card has been amended before September 2003 and published on Oracle. The Oracle is a database of the Official Card Ruling. These wordings are considered the official wordings of the cards by QL Magic, and accurately reflect their functions. You can download the rules in pdf format from here: QLMagic Rules! It must flip 360 degrees (that’s what “flip entirely” means). [FAQ 1994/04/01] and this flip must be in the air and not in your hand. The resolution of the effect of the Chaos Orb starts when it is activated and lasts until the destruction, if any, of the permanents. It is possible to put fast effects on the stack before its activation or after its resolution, but not during it. Starting from the activation of the Chaos Orb, until its effect resolves, cards on the battlefield are to be considered “freezed” in their position. The table marks the playing field and you cannot rearrange the card out of it, not even partially. 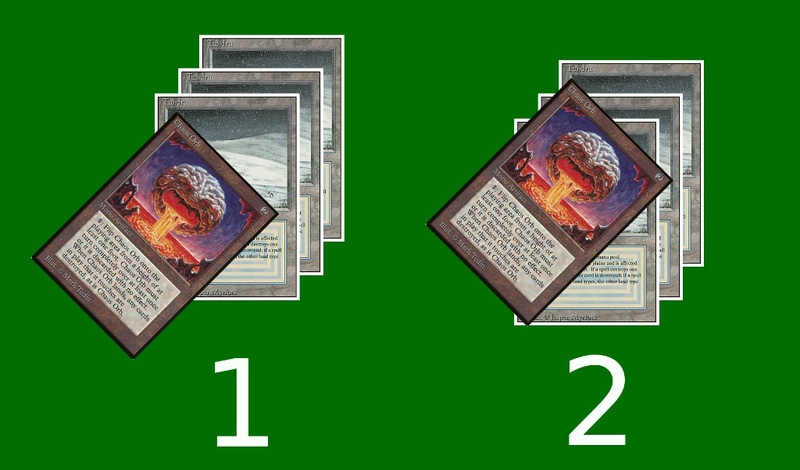 In general, you should not stack cards or put them in places where your opponent cannot read the names of all of them or count them. This is recommended good gaming practice. 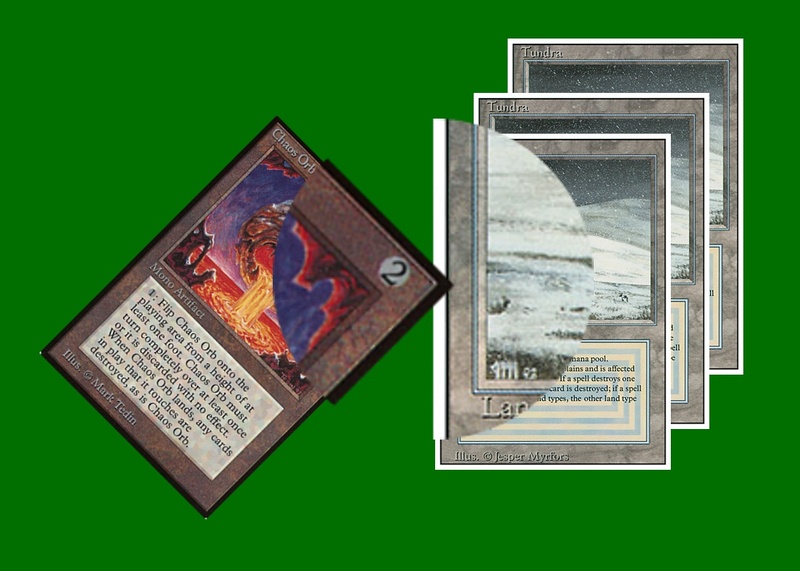 [Aahz 1994/12/03] Therefore you cannot hide cards or put them where Chaos Orb could not be able to target them. Chaos Orb must clearly hit the target cards. The protector sleeve has to be removed before flipping the Chaos orb. Only “perfect size” sleeves are allowed. Fairplay is a must, especially in QL Magic. However, if it is deemed necessary, a judge will be involved to guarantee the proper conduct of the game. Chaos Orb is just landed. It overlaps the card below for at least the width of its frame. The target is valid.